You may remember that The Zebra Said Shhh was my birthday gift to Pumpkin. I had my copy for almost a month before I gave it to her. Despite several close calls, we actually managed to keep the secret until she opened her birthday gifts. I was surprisingly nervous as she opened my gift- I had no idea if she'd think the book was cool, or be annoyed that it didn't have the illustrations we made together out of construction paper, or just be confused. Therefore, I was quite relieved when her reaction was positive. She looked at the book for a few seconds before she really processed what it was, and I had to explain that this book meant that other little kids were enjoying her bedtime story now, too. She thought that was pretty neat. She really likes the illustrations, and also noticed that the lion illustration looks a lot like the one she and I made together. She didn't jump up and down excitedly when she opened the gift, but she has been doing things that make me think she is reasonably excited about the book. The night after she got it, my parents watched the kids while Mr. Snarky and I went out to eat, and they reported that Pumpkin read the book to Petunia, and explained how special it was because I had written it. She also took the book along when she returned to her old day care for a visit during spring break, and made a point to show it to all of the teachers. Tonight, she picked Kindergarten Diary , by Antoinette Portis, for her bedtime book. We have it home from the library, and she'd already read it several times, but not with me. She gave me a little tour of the book before I started reading, and showed me the dedication page. 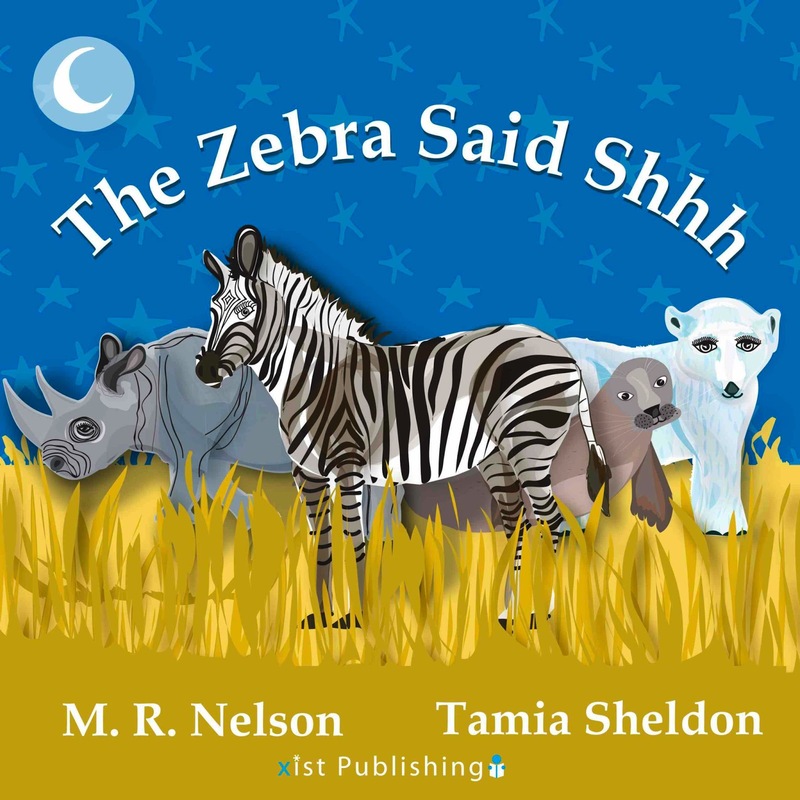 The book is clearly dedicated to the author's daughter, and Pumpkin said that this was like her "zebra story" book (which is dedicated to her). And then we talked about how we could get a copy of "our" book in the library, too. I'd already been thinking of mimicking Scalzi's tradition of donating a copy of each of his books to his local library, so I said that I could donate a copy to them, and she really liked that idea. I might donate two copies- one physical and one eBook, because I am a huge fan of having kids' books on electronic devices. I use my Kindle Fire when we travel and also just when we're going someplace that is likely to entail a wait. It lets me bring books without weighing down my bag, and also gives the kids an alternative to playing games on the Fire. Pumpkin has also already started telling Petunia that maybe I'll write a book for her when she turns 6, too. It is a good thing I have some ideas for more children's books! For anyone who missed the back story about the book, here it is. 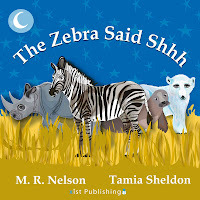 In other "zebra story" news... Nicoleandmaggie wrote a nice review of the book, in which we learn that the book stands up well to the chewing treatment children of a certain age like to give their books. Also, both Nicoleandmaggie and Hush compare the book favorably to Go the F**k to Sleep , which is the best book about sleep EVER, so I am very flattered. How fantastic to be able to publish a book as a birthday gift for your daughter. Congrats! That's so awesome, Cloud! What a wonderful (and unique!) birthday gift for your daugher! We received The Zebra Said Shhh just before we headed off on vacation. It's a lovely bedtime tale. Even my 8-year old liked it (and of course she's into big chapter books these days). I ordered a copy for my 2-year old niece, too, as she's a bit more in the age-range, I think. I promise to write a review soon! I plan to read the story you have published soon- I'll probably have time this weekend. Unfortunately, unless your local library is willing and able to host the electronic copy themselves, there isn't a way for you to donate an electronic copy of a book to a library. I'm a public librarian, and I can elaborate on this at great length, but basically, we pay licensing fees to ebook platform vendors (OverDrive is the biggest one, though 3M and a few others are out there), and they in turn attempt to convince publishers to let us buy (or rather license) their books. The good news is that Xist does work with OverDrive, which is what the San Diego Public Library is using -- but likely you'd have to make a monetary donation to the library and ask that it be spent on a copy of the ebook. You wouldn't be able simply to buy it and give it to them the way you could with a hardback.